When you leave a comment on THIS post by 6 p.m. CT Sunday, March 31, 2013, you'll be entered in the DRAWING for a copy of the book I review below. If you mention in your comment that you’re a follower (see in the left column “Join This Site” and “Follow by Email”), I’ll add your name a second time in the drawing. You must be eighteen, have a U.S. mailing address, void where prohibited. You can read details about my book giveaways at Disclaimers. 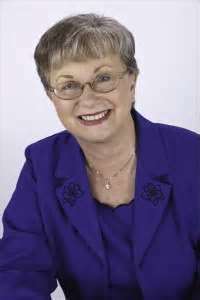 Multiple award-winning author Kathi Macia’s nearly 35 books include this “Quilt” series, the “Freedom” series, and the “Extreme Devotion” novels for New Hope Publishers. Her devotionals reach hundreds of thousands—through the Christian Civic League, Black Christian News, Latino Christian News, Christians in Recovery, and crosswalk.com. A popular speaker, Kathi also loves outreach to prison and homeless ministries, and praying for and aiding the persecuted church globally. A mother and grandmother, Kathi and husband, Al, live in California. Would she finally have the courage to say yes to Edward? As Mazie Hartford sat down on the edge of the bed, carefully laying the folded quilt between herself and her great-grandmother, Mimi the young woman sensed that she was about to embark on a journey that could change the entire course of her life. . . .
And from the pages of history, Harriet Tubman would have just the answer she needed. This novel has much historical narrative. Throughout the book Mazie’s great-grandmother, Mimi, tells Mazie and her boyfriend, Edward, a story about Harriet Tubman who escapes slavery and helps with the Underground Railroad. Mazie admittedly loves Edward but won’t accept his marriage proposal. What motivates Mimi to tell the story of Harriet Tubman to Mazie and Edward? Macias tackles racial prejudices and does a good job, her characters are realistic, and her settings along America’s northwest shoreline are great. Remember: leave a comment on THIS post by 6 p.m. CT Sunday, March 31, 2013 and you'll be entered in the drawing for a copy of The Moses Quilt by Kathi Macias. You must be eighteen, have a U.S. mailing address, void where prohibited. Please, please remember to leave your email address so that should you be the winner I can get in touch with you for your mailing address. I’ll announce the winner in Monday’s blog. Also remember on Mondays my posts will be interviews with characters from That Summer. An interesting way to get to know the characters' feelings as they travel through the book. If you comment on my Monday blogs, I'll give you another chance in the Thursday book giveaways. Be sure you leave your email address. Thank you so much for the great post, my friend. I'll alert people to the free book offer. Blessings! Shirley, glad you came by to read Kathi's guest blog post. Thanks for leaving your comment. Jo - We're studying the slave trade in home-school with my 5th grader, and we've talked a lot about people like Harriet Tubman, piquing my interest in new ways. Would love to win a copy of this - it's on my to-read list already! Kathi - another great book. Excited to read it. Becky, interesting that Kathi's book would come along at the time you're studying slave trade at home-school. Thanks for reading and leaving a comment. I have been looking forward to reading The Moses Quilt and its on my must read list. Thank you for a chance to win. Katie, you're welcome. Glad you came by and read Kathi's guest blog post. Thanks for leaving your comment. I am so excited about this book. I have always been fascinated by the Underground Railroad since I am from Kentucky and live near the Ohio River and the small town of Washington. A visit to Washington is said to have inspired Harriet Beecher Stowe to write "Uncle Tom's Cabin"
I love Kathi Macias and I also follow you, Jo! Connie, you're welcome. Interesting info you shared about the inspiration for Harriet Beecher Stowe's writing. Glad you came by and left a comment. Thanks so much for being a follower! The Moses Quilt seems intriguing. I would love the chance to win. Deanna, I appreciate you being a follower of my blog. Thanks for reading and leaving your comment. Sheila, Thanks so much for being a follower of my blog. Glad you came by and left your comment. Oh Jo, this is a book I have been wanting to read. Kathi is a great writer. I know for I have already read some of it. She writes well about problems that need to be dealt with. Not only in other countries, but right here in our own. I have always been interested in the underground Railroad works. What brave people. Not only those who took a chance of being outcasts, but the poor souls that would probably have been beaten and even hung if caught. Please put me in the drawing. I am a follower and commented on Mon. post. Maxie, glad to see you come by and leave your comment. I appreciate you being a follower. Thanks for being a reader and commenting. READ REVIEW AND WOULD LOVE TO WIN THIS BOOK! SHELLEY S. calicolady60@hotmail.com. THANKS! Shelley, thanks for reading my blog and for leaving your comment. Karen, you're very welcome. Thanks for coming by and leaving your comment. I'm a huge fan of Kathi and her books! Please enter me. I'm a Follower. Susan, you're welcome. Glad you came by to read Kathi's guest blog post. Thanks for being a follower and leaving your comment. This book sounds really great and I'd love to read it. I've always been fascinated by Harriet Tubman and the underground railroad. Thank you for this chance! Wanda, you're welcome. With your fascination of the underground railroad, you'll probably love this book by Kathi. Thanks for stopping by and leaving a comment. I'd love to read The Moses Quilt by Kathi Macias. brown[.]k(at)centurytel[. ]net - thanks for the chance to win! Kd, you're welcome. Glad you came by and left a comment. Kathi is such a good role model and example for Christian women. Jo, I'm so glad you featured her on your blog! I would love to win The Moses Quilt. Thank you for the opportunity. Kay, you're welcome. I'm glad you read Kathi's guest blog post and left your comment. Thank you so much for being a follower! thanks for the chance to read this beautiful novel. Karen, you're welcome. Glad you came by and read the blog. Thanks for leaving a comment. I appreciate you being a follower! This book sounds wonderful. Love when histroy in used. Thanks for a chance. LeAnn, you're welcome. If you love when history is used, you'll love this book. Thanks for reading Kathi's guest blog post and leaving your comment. This sounds like a great book. Thanks for having the giveaway. I am also a follower by email. Rose, you're welcome. Glad you came by to read the blog and to leave a comment. Thanks for being a follower! I am a follower of this site. 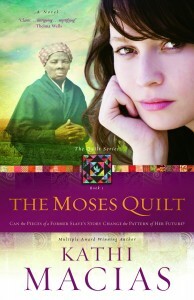 I would love to win a copy of the book, "The Moses Quilt" to give to my church library. Janet, you're welcome. Thanks for reading my blog and leaving a comment. I appreciate you being a follower! The Moses Quilt looks like a very good book! I enjoyed the review.